Hampshire County Council have announced a £320,000 investment in new facilities at their flagship Calshot Activities Centre. New activities that will be offered following the investment include Aerial Trekking on an indoor high ropes course, auto-belayed climbing on a new rock wall system, Indoor Bouldering and Ringos for toboganning down their dry ski slope. 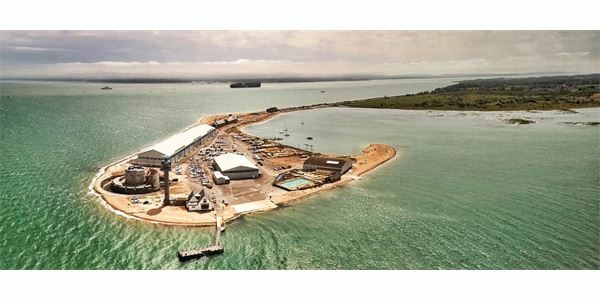 Located on Calshot Spit near Southampton, Calshot Activities Centre is one of the largest outdoor adventure centres in Britain. The centre offers a wide range of indoor adventure activities and watersports include Dinghy Sailing, Kayaking, Windsurfing and Powerboating. • Aerial trekking – new indoor high ropes course including balance beams, tightrope bridges and stepping stones whilst visitors are attached to a continuous safety system. • Auto belayed climbing – new rock wall climbing system with an automated safety rope machine which takes up the slack during a climb and controls the descent. • Bouldering – improved indoor rock climbing, enabling climbers to move freely and flexibly between rocks.